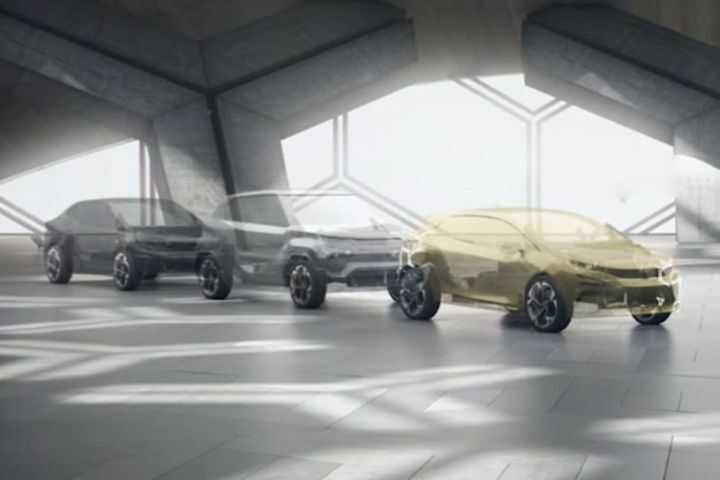 Tata to bring four models to Geneva. Will showcasing models on the new Alfa and Omega platforms only. Likely candidates are Harrier H7X, Hornbill micro SUV, 45X hatch and mystery car. “Our heart is in India! Our soul is in India!”, beamed a visibly pleased Guenter Butschek, CEO and MD of a stronger-than-ever Tata Motors. For the past couple of years, the brand has scripted a seemingly impossible turnaround, delivering some stellar products in the form of the Tiago, Nexon and now, the Harrier. But it looks like the party has just begun for the India-based auto giant. We had asked him what’s on the plate at the Geneva Motor Show for this year. Prepare for some fireworks at Geneva as Tata plans to showcase its next wave of products. Tata’s products will move away from the existing platforms to the modular AlfaARC developed in-house, and the OmegaARC that’s derived from Land Rover’s D8 architecture. At the show floor in Geneva would be new products based on these two platforms. Tata Motors has confirmed that Geneva 2019 will witness four global premieres. What could they be? What’s it going to be called? Well, Tata’s being super tight-lipped about it. But we’ve got enough reason to believe a production-ready version of the Concept 45X will be on the showfloor at Geneva. Yes, this is the same car we’ve seen multiple spy shots of multiple times. We’re quite kicked about the interior, that we know will feature an LCD display just like the Harrier. On the engine front, the hatchback is expected to carry forward both the petrol and diesel engines (possibly detuned) from the Nexon. An AMT is also expected to be on offer. Sources suggest it might be launched as early as June. Can’t wait! Guenter Butschek confirmed that the seven-seat version of the Harrier will be launched this year. It’s safe to expect the SUV at Geneva, at least in concept form. The SUV is expected to be a longer version of the Harrier with additional seats for that extra bit of versatility. The seven-seater won’t be any different than the Harrier on the features front. But it’s expected to get a retuned engine to better suit the added weight. It’s going to feature the same 2.0-litre diesel motor, but could come with a 180PS tune. We’re hoping to see an automatic at launch with this one too. Don’t make us wait too long, Tata! Check Out: More Powerful Tata Harrier In The Works! This is Tata’s absolute trump card. Also the one that we believe will be the centre of attention. It’s no secret that Tata is developing a micro-SUV to slot under the Nexon. This, driven by our craze for anything is masquerading as an SUV, would eventually take on the likes of the Mahindra KUV100 and the Maruti Suzuki Ignis. It’s too early to be talking of engine options and features. But we could see the production-spec version of this car at the 2020 Auto Expo in Delhi. Fingers crossed! We’ve all scratched our heads at ZigWheels HQ trying to put a finger on what the fourth product could possibly be. At the Auto Expo, among multiple silhouettes that the AlfaARC platform could possibly spawn, one stood out. With a sloping roof line and short rump, this silhouette hinted at a notchback-like design for a sedan bigger than the 45X. For now, we’re placing our chips on this one. A big styleback (in Tata talk), meant to take on conventional sedans such as the Maruti Ciaz, Honda City and the Hyundai Verna. Of course, we could be completely wrong about this. So, we’re throwing the question to you. What do you think will be Tata’s fourth car at Geneva? Make sure you leave a reply in the comments section below. Tata has just launched the Harrier at a stellar price, and will be looking at carrying forward that momentum into the rest of the year. We’ve been promised two new products in the form of the premium hatchback (Baleno/Elite i20 rival), and the seven-seat Harrier. With a quiver full of promising products, Tata looks all set to claw back its lost share in the Indian market. Hi , will there be manual 4 wheel drive? Hi , will there be manual 4 wheel drive? More Powerful Tata Harrier In The Works!